Best-selling author Jeffery Deaver has garnered international acclaim through his murder mystery series of novels featuring former NYPD homicide detective Lincoln Rhyme. After becoming a quadriplegic, Rhyme now works as a forensic consultant with the department. 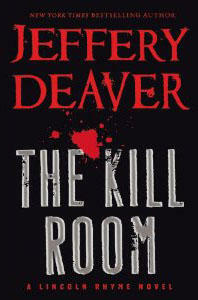 In Deaver's latest installment, "The Kill Room," Rhyme finds himself up against the United States government. Today on The State of Things, host Frank Stasio talks with Jeffery Deaver about Rhyme's newest challenge. On Christmas Eve of 1963, a young woman named Lucille Rinaldi was murdered in her apartment in downtown Chapel Hill. Later the same day, her husband Frank Rinaldi was arrested and charged with murder. Over the next two years, the trial consumed the attention of the town. Nora Gaskin was 12 years old when Lucille Rinaldi was killed. The case left an indelible impression on her. 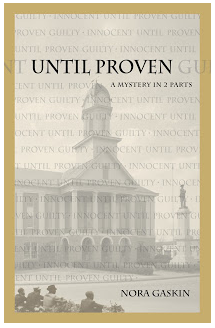 She is the author of "Until Proven: A Mystery in Two Parts" (Lystra/ 2013). She joins host Frank Stasio to discuss the novel she has written based on the murder.